Did Cornelia Rau change refugee treatment? 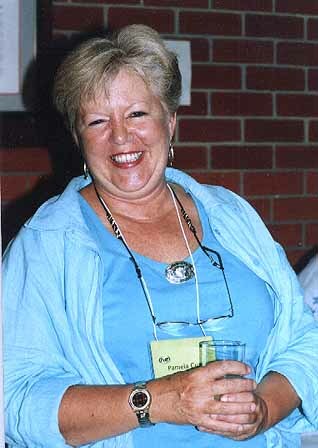 Pamela Curr, Community Campaign Co-ordinator at the Asylum Seeker Resource Centre in Melbourne is the persistent human rights advocate who, together with Baxter detainees, 'found' Cornelia Rau hidden inside the isolation block at the Baxter refugee jail in December 2004. In this visit to Perth on the invitation of Project SafeCom she joins activists and advocates in Perth to discuss the future of refugee policy in Australia. Pamela worked with Baxter detainees in seeking help for Cornelia Rau, a mentally ill Australian resident who was locked up in prison and then immigration detention. When neither DIMA nor GSL would listen to concerns about Cornelia, finally in desperation Pamela sought assistance from Andra Jackson at The Age to put pressure on the department to get medical help for Cornelia. This lead to the Rau family finding Cornelia and to her immediate transfer to hospital for treatment. In her talk at Kulcha Multicultural Arts WA, Pamela asks whether the light which the Cornelia Rau case shone into the detention regime will make a difference to the treatment of refugees and asylum seekers in Australia. So far some change hard won by the Liberal dissidents, Petro Georgiou and Judi Moylan MP, has seen families and children released and many - but not all - the long term detained, gain freedom. The Migration Act however remains in place with its iniquitous indefinite mandatory detention of people without trial or judicial oversight. How can the promised DIMA changes occur while new and even more repressive legislation Ban the Boatpeople Bill which seeks to exclude and expel anyone who seeks refuge in Australia, is introduced? How can we as advocates, lobbyists and activists influence the course of Refugee policy? 10 August 2006: World Refugee Day 2006: reports and pictures - World Refugee Day 2006 has passed us, and we look back at a spirited event at Kulcha Multicultural Arts of WA, with our guest Pamela Curr from the Asylum Seeker Resource Centre in Melbourne. Pamela Curr has become a personal friend and a highly respected ally and colleague for us at Project SafeCom, but since January 2005 she is perhaps in some ways almost a household name, if you have any interest at all in the shocking treatment of refugees and asylum seekers doled out by our government. Pamela worked with detainees in Baxter in seeking help for Cornelia, so-called "Anna, the 'illegal immigrant' from Germany" who was locked away in an isolation cell in the notorious Baxter detention centre. That Cornelia was punished rather than treated for mental illness until it was discovered that she was an Australian resident with a family, demonstrated the appalling neglect of mentally ill asylum seekers. Pamela Curr is a Brunswick mother of two, a trained Nurse and midwife with a BA in Community Development. She is currently Campaign Coordinator for the Asylum Seeker Resource Centre in Melbourne (ASRC). ASRC is the largest volunteer agency for asylum seekers and refugees in Australia providing medical and legal services, language classes, counselling, foodbank, housing assistance, employment support, friendship and recreation. Prior to working on refugee policy, she was Campaign Coordinator for FairWear - a coalition of churches, community organizations and unions addressing the exploitation of home-based outworkers. Before joining the ASRC, she was the Greens' national spokesperson for refugees. 5 July 2005: Christine Rau: my sister's 309 days - "Cornelia has had a terrible ordeal and is understandably angry about it. She was locked up in isolation, has said she felt treated like a caged animal, for the crime of mental illness which led her to lie about her identity." 26 March 2005: Indefinite detention, Cornelia Rau and the denial of mental illness - Carmen Lawrence MP: We must ensure that our domestic law fully enshrines the principle that imprisonment should occur only after conviction by a court, not by arbitrary action of government. 27 February 2005 - Life after Cornelia Rau: a People's Inquiry into Detention? - "last Saturday the Mick Palmer Inquiry Call for Submissions appeared in The Weekend Australian. While I think this should be called the "Mickey Mouse Inquiry", it may be a useful vehicle for some people to submit material." 27 February 2005: Talking about Cornelia: the Baxter detainees Statement - A page about Cornelia Rau, who was "lost" inside Australia as 'Anna', classed as an 'illegal immigrant' without any evidence for this by Department of Immigration staff.